If you are an online business owner, you know the importance of having a great site. 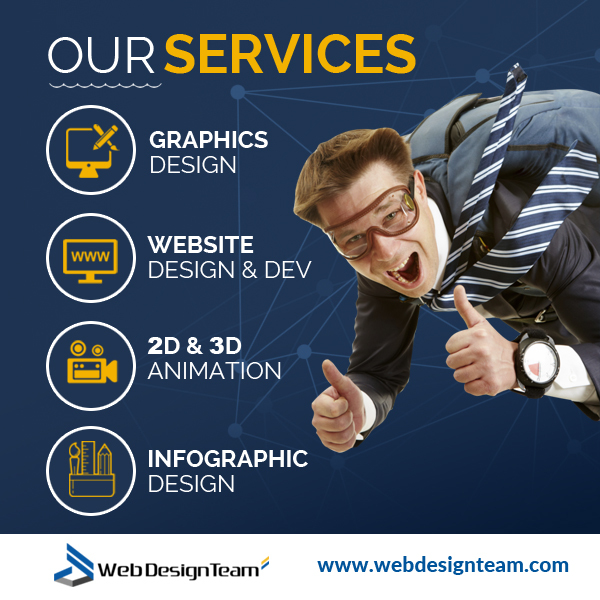 Your website is your virtual real estate, the online property that you display to the world. 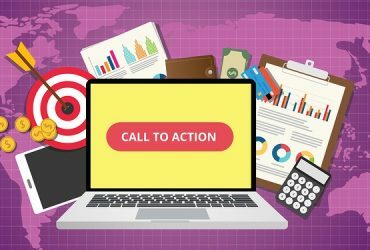 Since you may or may not have a real brick-and-mortar business that allows you to invite customers in, you have to do it in the virtual environment. Your blog is a valuable asset of your online virtual property as well. 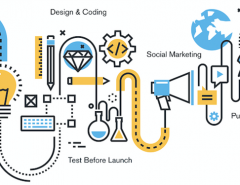 It gives you a way to communicate with your audience in a less formal way and provide them with the information that they need to understand your products and service. You can also use your blog to increase your level of engagement and encourage questions about your services. If your website or blog is not up-to-par with what you’d like it to be, perhaps these seven entrepreneur blogs may inspire you to take your business blog to the next level. 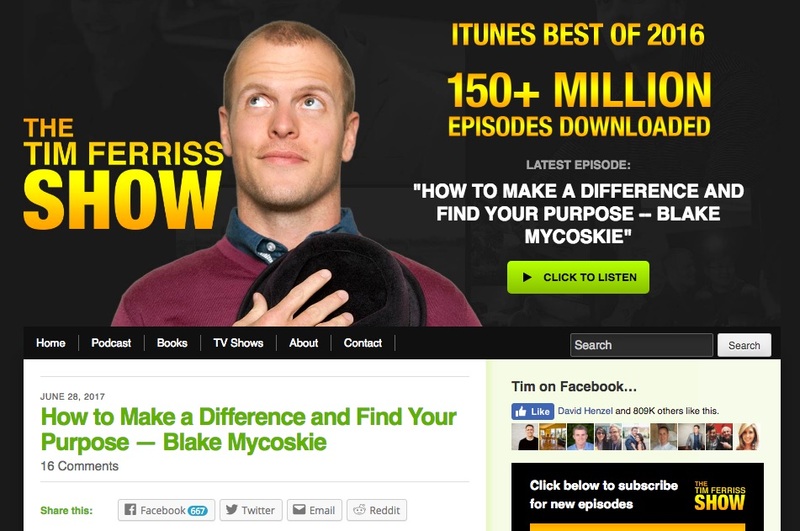 Timothy Ferris’s blog is a great example of an amazing design. 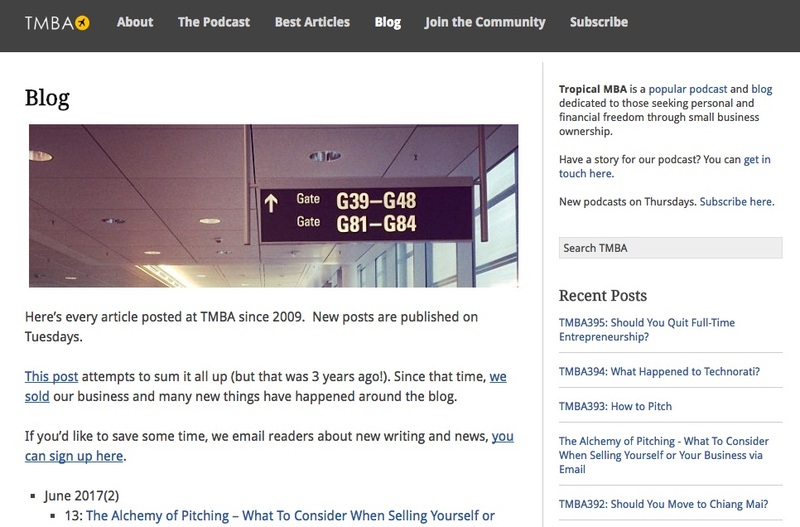 The domain, “tim.blog,” is simple and helps make it easy to find. Ferris books are well-known in entrepreneurial circles, and he inspires people daily about how to outsource and make the most of their time. One of the things that make Tim’s blog so great is that it is friendly and open, like a friend welcoming you to their home. You find out a bit about Tim and his business partner at the beginning; then you get a snackable bit of content in the form of podcasts underneath the basic information. There is an outline of what the podcast episodes are about above the podcast, and this appeals to people who are looking for information on what the podcast is about. Ferris also puts transcripts of his most popular shows as an embedded script in his blog, which draws additional attention to his podcasts and content. Pat Flynn is famous for his books and topics about how to create a passive income. In fact, that topic is his sole focus. His blog, “The Smart Passive Income,” is a testimony and a resource for entrepreneurs who want to create an ongoing, passive income for themselves. His site features rich media such as podcasts with special guests that are all notable in their niche areas and social influencers who make an impact in their respective niches. It is popular and runs solely on his blog within his website for his regular visitors. 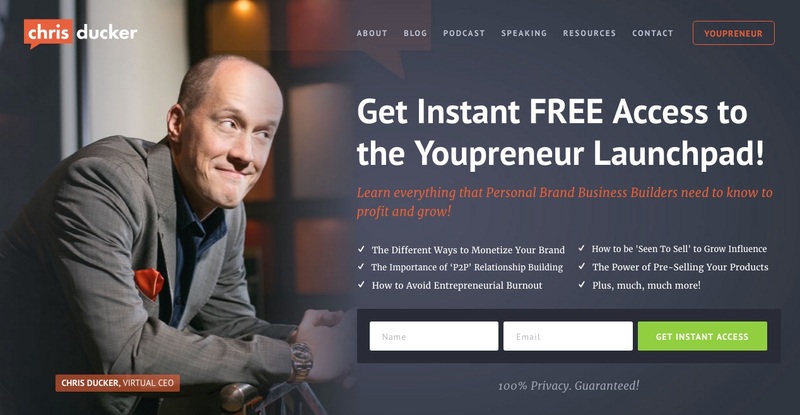 Chris Ducker calls himself the “virtual CEO” on his site which is comical in a way as it suggests that he’s not a “real CEO.” But everyone who comes to his site knows what it means, that he’s the guru of virtual entrepreneurship and helps other business owners working online to achieve their goals. His best-known book is called, “Virtual Freedom” and it is advertised on his blog. The book has sold over 30,000 copies and is an Amazon bestseller. Chris also features many different perks on his website including podcasts, speaking engagement schedules, and resources. He has a separate page for specific podcast topics such as ebook publishing and marketing that are dedicated to that particular show. This blog menu is easy to use and highly responsive to both mobile and desktop users, which also makes it a great design. In a world where content creation and originality is key, adding a ‘challenge’ aspect to your website and content is a great way to connect with your audience. 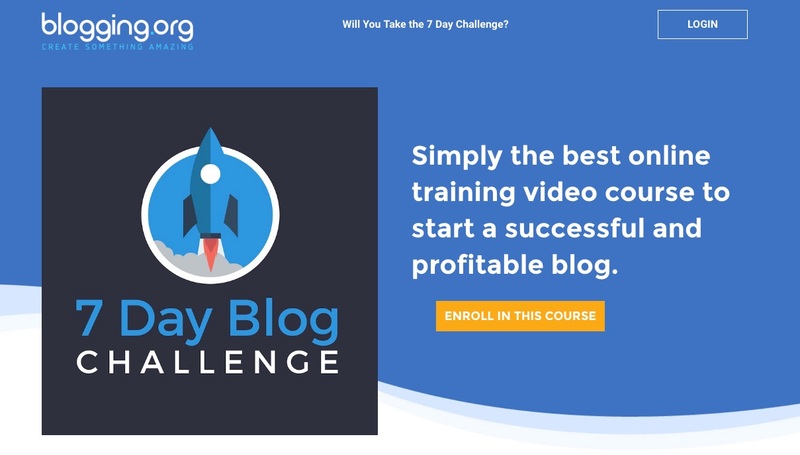 In the case of Zac Johnson’s 7-Day blog challenge, he uses his online course to tell his audience that he can help them reach all of their blogging goals within a 7-day period and challenges his users to walk through his program to help them do just that. 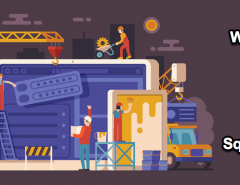 What makes his blog design so great is that it is clean easy to read and navigate and includes a tour of the course he offers to get started, along with a complete walkthrough and video guide on how he creates a brand new site in the process. Dan Andrews and Ian Schoen are both independent entrepreneurs in their right. But they also joined in a partnership in 2007 to form a marketing company that generated millions of dollars in a relatively short time. Their blog is set up uniquely. 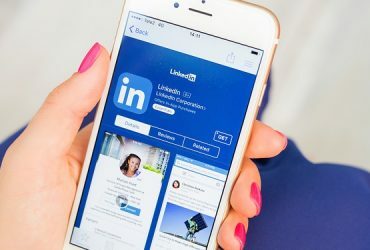 When you click on the link to their blog at the top navigation, you’ll immediately see a list of links to various blog entries that they have made in the past so that users can go to any program they want. Their business, “The Tropical MBA,” focuses on established business owners who wish to expand their business to the next level, whether financial or through various resources and staffing or inventory requirements. The “DC” community is known as the “Dynamite Circle, basically ” and it helps to further their cause by recruiting members to join their unique community. If you want a blog style with minimalism, Noah Kagan has it figured out. When you go to his blog, all you see if Noah standing there with a grin on his face and his arms folded. In fact, it’s done that way so that you’ll want to find out just why he has such a confident smile on his face. Once you give him your email address, he’ll send you information on how he has been successful in his business and how it can help you. You have to scroll all the way to the bottom of the page to access his blog. The simplicity of Noah’s site intrigues the average visitor and cuts through the clutter that is often seen on an entrepreneur’s website. This may encourage more subscriptions. 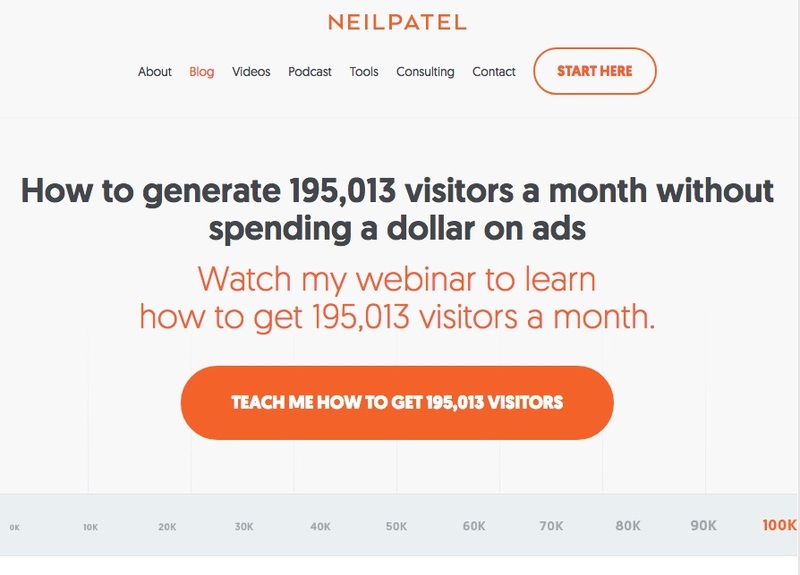 Neil Patel is a marketing guru and blogging expert. When you go to his site, you won’t see all the bells and whistles. Well, okay, there’s an occasional bell that he uses to get your attention just focused on what he does. 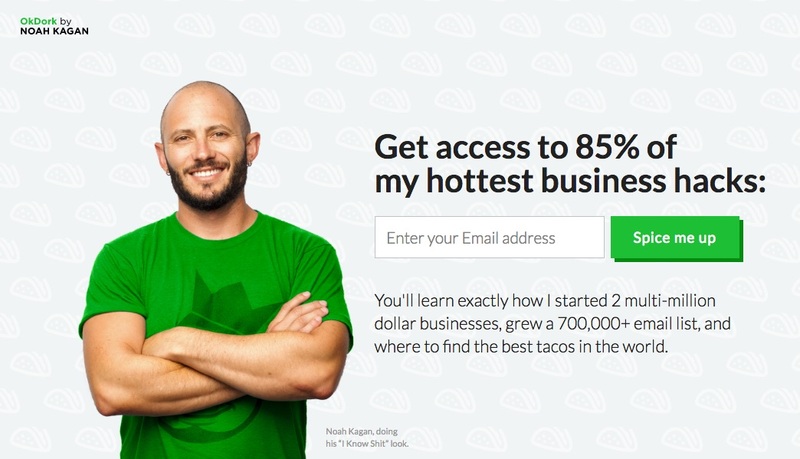 He helps business owners increase traffic. Simple and straightforward. We hope these seven blogs by well-known online entrepreneurs will inspire you to create your own blog or add to what you already have to improve your online presence to the world. 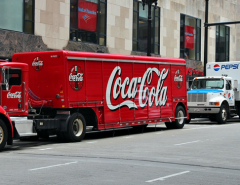 Looking at what others have done can be advantageous if you’re trying to build a brand. If you want to put all of your helpful blogs in one place, try Feedly.com, an intuitive tool that lets you list all of your favorite blogs on one page so you can have updates at your fingertips. If you want to start or grow your blog or utilize some of the techniques that these seven entrepreneurs have done, contact us at webdesignteam.com. We can design your site and integrate your WordPress blog or any other type of blog within our secure server. 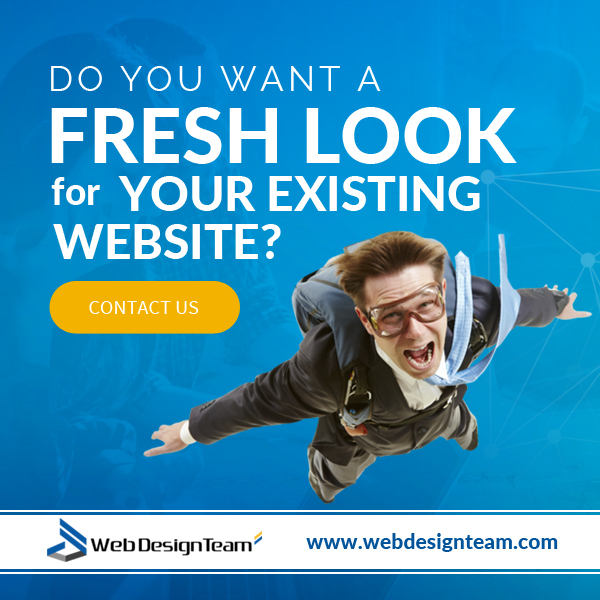 No matter what style you prefer or how you want your site to function, we’ve got you covered. That way you’ll know that you are presenting your blog in the best way possible and you can use it as a leads magnet and marketing tool to take your business to the next level.